Taking away 7 from 26 is a rather simple task if 26 items are placed on the table. 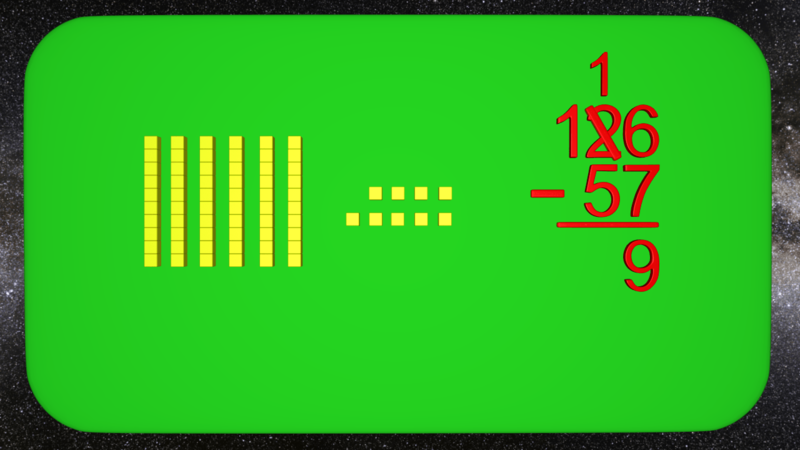 However, when a student sees 6 above 7 and is being asked to subtract, it becomes more difficult. Giving students the ability to visualize using number blocks is a great tool to help students understand the concept of borrowing. Many times a student will just subtract 6 from 7 and get one, until they attach the numbers to real items and realize that they don’t have enough to subtract. Using visuals or manipulatives in this situation helps put things into perspective.